Dogs are known as man’s best friend, and for good reason; they are loyal, trusting and love us unconditionally. In return, we owe it to them to look after them, care for them and help them should they ever need it – but without putting considerable financial strain on ourselves. 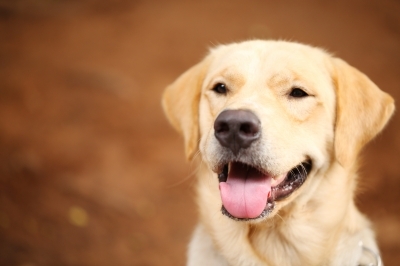 Here’s five reasons why you insuring your dog could be the best decision you make all year. Don’t worry – we’re not trying to say that you have a nasty dog! However, when you take your dog for a walk, there is the occasional stray dog on the loose, or perhaps some irresponsible dog owner has let their dog off of the leash despite knowing that they are violent. Unfortunately, it does happen; innocent dogs get hurt from vicious attacks, and the innocent dog has to have stitches to gaping wounds and perhaps even surgery to mend further damage. You can never be sure who you’re going to encounter on those enjoyable strolls with your beloved pooch, but imagine if you couldn’t afford the treatment for your dog if the worst should happen. On the flip side, if your dog was insured all you would have to worry about is your best friend getting better. We all know dogs are bouncy creatures and love to jump, whether it’s jumping up you or jumping over fences. They can also get themselves into sticky situations regarding their feet and legs; for example, jumping off high walls can lead to breaks or sprains, getting their paws stuck in cracks/holes is a common injury. Sometimes, the most simple of accidents occur when they are just being themselves; jumping up on you or playing with a toy; you could easily stand on your dogs paw, or they land awkwardly. Such a simple injury as a result of a dog’s natural exuberance could to lead to them having to have treatment, resulting in extortionate high vet costs. We know it’s not nice to think that your dog could have a long term illness or disease, but it can happen, and if it does you’re going to need to be ready to deal with it. Certain breeds can suffer from diseases that are only in that breed; for example, pug Encephalitis, an inflammatory disease that affects the the brain, and is only known to the Pug breed. If you have a pedigree dog and the breed is known for having certain diseases, it is recommended highly that you insure your dog, just in case. It’s arguably the worst that could happen and is perhaps completely unimaginable, but it sometimes a dog can go missing. Dogs are known for digging themselves out of gardens, escaping out of the back gate and running wild. Most dogs will return or perhaps a friendly neighbour will bring your dog back, but you can’t bet on it. Pet insurance companies will often pay a dog warden fee if your runaway pooch is captured and identified via micro chip or identification tags, so he can be returned to you safely. Dog insurance companies will sometimes help with the cost of looking for a lost pet; for example, missing posters and adverts. We know it wouldn’t be much of a consolation compared to your beloved best friend being home, safe and well, but some companies will make a lump sum payout if your dog is deceased or fails toreturn. These are only the top five reasons to get your beloved dog insured, but there are plenty more reasons to do so. Pet insurance provides peace of mind and stability in yours and your dogs life, so you can sit back, relax and enjoy life with your dog without the constant worry of the cost of veterinary treatments if anything happens to your best friend.